The NCHE Annual Conference was hosted in Washington DC this year. 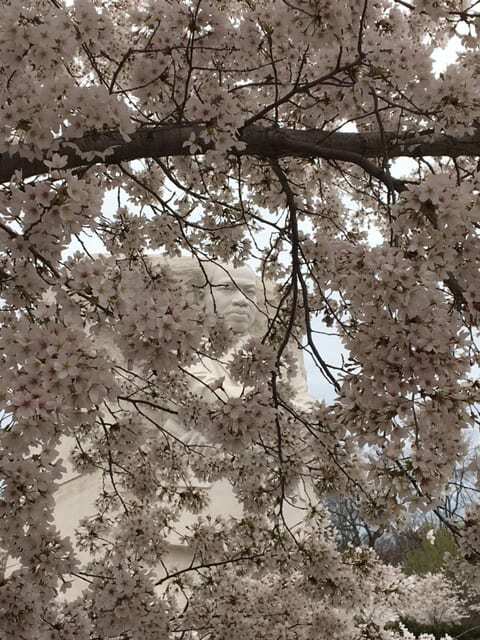 It was a beautiful weekend ahead of the famed blossoming of the cherry trees in the city predicted to adorn the city in early April. Ok, back to the conference. I had the honor of being part of a panel for a three hour workshop for 26 participants from a range of fields. Together with three outstanding historians and educators (see below and bios here) we shared insights and practices regarding the challenges and opportunities of teaching and learning world history. Below, I have outlined my panel segment which summarized 6 moves/pivots our social studies program has been emphasizing and supporting for the last 7 years at Fairfax County Public Schools. For your reference the slide deck I used can be accessed here. As it is just a slide deck, I am happy to clarify any part of the presentation. Just post a comment or email me directly at craigperrier19@gmail.com Enjoy! Overview: When teaching world history, teachers and teams have multiple chances to make the class engaging, relevant, and student centered. These opportunities uses the content of the class to support student skills and dispositions beyond the classroom. As with the other heading below, these moves will provide the best dynamic experiences for students when the team of teachers are professional collaborators. Move/Pivot 1: Apply knowledge used in history to understand the present and develop students’ world views. Move/Pivot 2: Use inquiry to develop disciplinary literacy with students so that they can construct their understanding and meaning of the past. Move/Pivot 3: Connect students with other students beyond your school. Overview: The amount of content in world history course, as you can imagine, is extensive (and arguably limitless). These moves require intentional course planning while developing teachers’ craft. Ultimately each decision is on a continuum that meets teachers/teams where they are with rooms to innovate when the time is right. Move/Pivot 4: When should we take deep dives during the survey course? Move/Pivot 5: What level of student input and autonomy is used? Move/Pivot 6: Whose perspectives should we include? 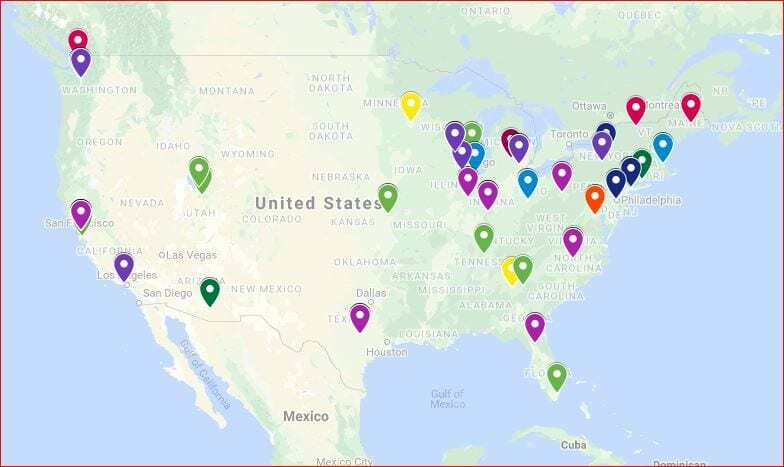 In addition I do urge you to consider exploring the over 100 federally funded National Resource Centers (NRC) housed at universities across the USA. The goal of the NRC are to “support instruction in fields needed to provide full understanding of areas, regions or countries; research and training in international studies …instruction and research on issues in world affairs. and outreach programs to K-12 and post-secondary institutions, and the public at large.” NRC have been valuable partners as resource providers and supporters of teachers’ content understanding. You can locate the NRC currently funded on their website. A screenshot of the interactive map is provided below. With the increase of 1:1 there is a demand from teachers and students for high quality digital content. The number of DHP is large and growing. Time is needed to explore DHP and therefore time should be made available as part of professional learning and not seen as a luxury. To recap, here is a working definition from wikipedia. DHP is the use of digital media to further historical analysis, presentation, and research. 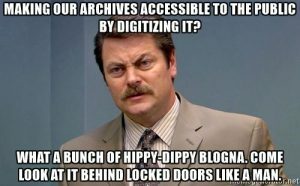 Digital history is commonly digital public history, concerned primarily with engaging online audiences with historical content, or, digital research methods, that further academic research. Digital history outputs include: digital archives, online presentations, data visualizations, interactive maps, time-lines, audio files, and virtual worlds to make history more accessible to the user. A key reminder is that DHP come in multiple formats and can be student or teacher facing… or both. Additional insights can be found in my earlier post. So, back to the WOW! Below are 12 more DHP for you to explore, share, have fun with, and use with your students. Let me know what you think. Enjoy! 1. 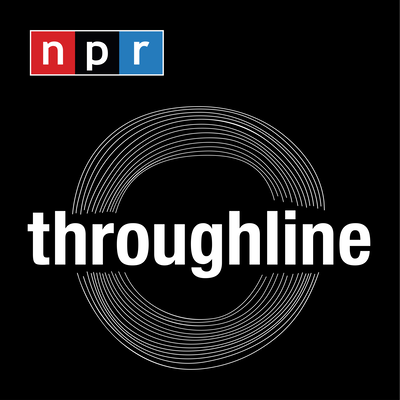 Throughline: The new NPR history podcast launched this February (2019) looks fantastic. Their tagline “The past is never past. Every headline has a history” models what great history education should do… connect the past to the current. You can hear their introductory promo here. These are stories you can feel and sounds you can see from the moments that shaped our world. This is definitely one to add to your playlist! 2. 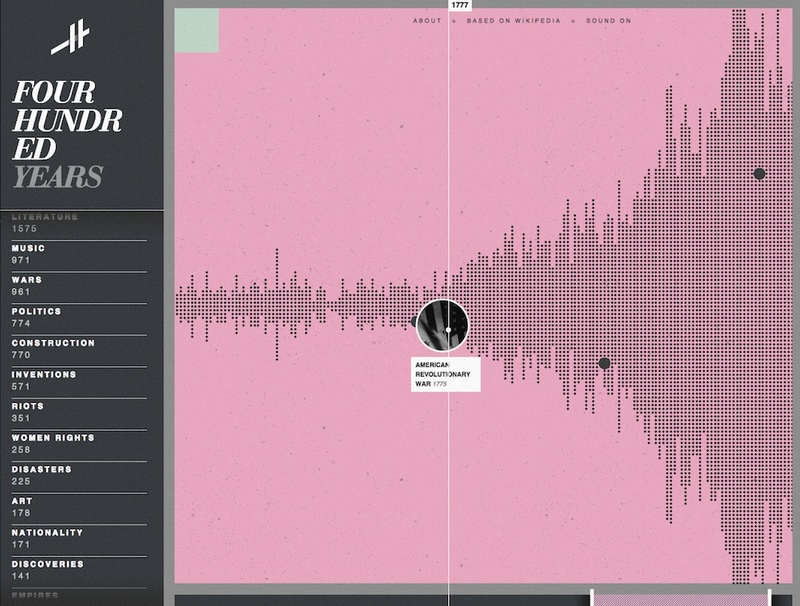 Smithsonian Learning Lab: Ok, this is remarkable!. Among other things the SLL may be providing a template for other archives to use for their digitizing efforts. “The Smithsonian Learning Lab puts the treasures of the world’s largest museum, education, and research complex within reach. The Lab is a free, interactive platform for discovering millions of authentic digital resources, creating content with online tools, and sharing in the Smithsonian’s expansive community of knowledge and learning.” Log in and find the magic made by others and you. For example, all the current social studies collections can be found here and are easy to search. Watch this video to learn more. 3. 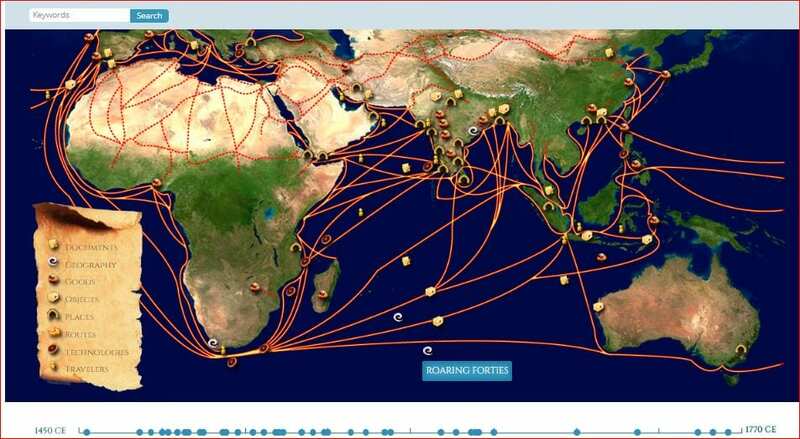 The Indian Ocean in World History:This online resource enables users to explore primary source historical evidence about interactions among people in the lands around the Indian Ocean throughout history. From earliest pre-historic times to the present, people have traveled around and on the Indian Ocean, traded, explored, and made use of its rich resources. In buried sites, shipwrecks, monuments, museum objects, documents and books, there is a huge and growing record of these interactions and exchanges. This site aims to provide students, teachers, and general audiences with a sampling of these primary source. 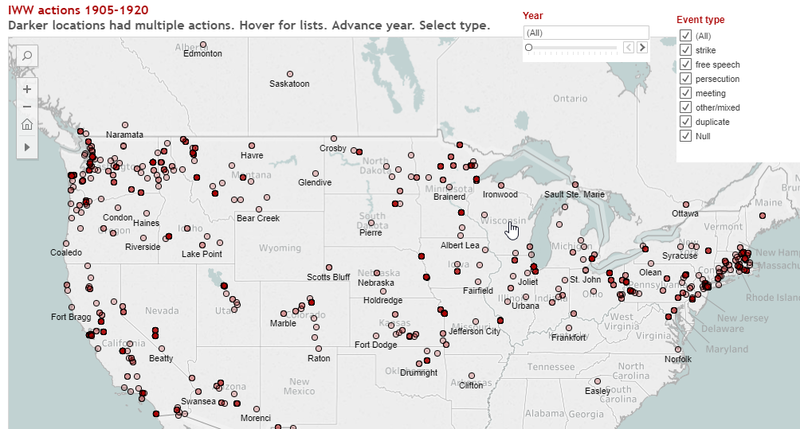 Below is an example of an interactive map they provide. 4. Korean War Legacy Project: The goal of the Korean War Legacy Project is to assist teachers, students, and the general public in understanding the origins and outcomes of the Korean War. Due to the enormity of World War II and the controversial nature of Vietnam, the Korean War is widely under-appreciated by American educators, politicians, and the general public. In history textbooks, it is often referred to as the “forgotten war” and is described in just a few negligible paragraphs. The documentary for the project is below… it has Korean subtitles! 5. Be Washington : Step inside Washington’s boots in this first-person interactive leadership experience. One type of DHP are simulations. Another is gaming. Be Washington does both either at the Mount Vernon estate in Virginia or online. Select among 4 pivotal scenarios in Washington’s career (2 as general and 2 as president). Thomas Jefferson, Alexander Hamilton, and other advisers will appear on your screen. Choose whose counsel you wish to hear and consider their advice on real challenges in real history. From there, it’s your turn to act–and then to learn how Washington handled the same dilemma. helping to facilitate democratic collaboration where educators can challenge & support each other to grow in their craft and, consequently, offer richer learning experiences for students. Join the live #sschat discussions Monday Night from 7-8 PM EST. Since its creation in 2010, #sschat has archived most of its chats (beginning in 2011). Here is the long list of archived discussions. I love this tool. Improvements have been made pretty consistently making searches easy and meaningful. New constitutions are written every year. The people who write these important documents need to read and analyze texts from other places. Constitute offers access to the world’s constitutions so that users can systematically compare them across a broad set of topics — using an inviting, clean interface. The site is also available in Spanish and Arabic! This partnership is between the British Museum and BBC. A 100 part series by Neil MacGregor, made during his time as Director of the British Museum, exploring world history from two million years ago to the present. Objects featured in the series can be explored and their stories discovered in the Museum galleries or on the website here. School developed resources can be found here. 10. World Population History: This an interactive site that lets you explore the peopling of our planet from multiple perspectives – historical, environmental, social and political. It is about the 2,000-year journey of human civilization and the possible paths ahead to the middle of this century. It’s especially useful for the high school classroom with rich content for geography, world history, environmental science and much more. 11. Digital History : Looking for a free digital textbook? This might be it! The materials on this Web site include a U.S. history textbook; over 400 annotated documents from the Gilder Lehrman Collection, supplemented by primary sources on slavery, Mexican American, Asian American, and Native American history, and U.S. political, social, and legal history; succinct essays on the history of film, ethnicity, private life, and technology; multmedia exhibitions; and reference resources that include a database of annotated links, classroom handouts, chronologies, glossaries, an audio archive including speeches and book talks by historians, and a visual archive with hundreds of historical maps and images. For an APUSH/Advanced text look into American Yawp. This resource has a lot to offer. I linked to the social studies resource page, but I suggest also exploring here for a birdseye view of the project. BrainPOP was founded in 1999 by Dr. Avraham Kadar as a creative way to explain difficult concepts. Today, their resource is supporting core and supplemental subjects, reaching millions of learners worldwide. 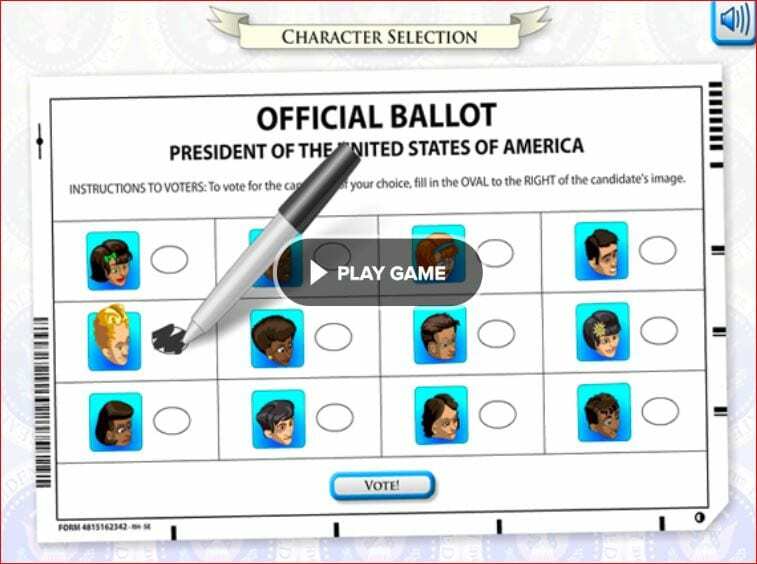 I explored the a few of the games created for social studies. 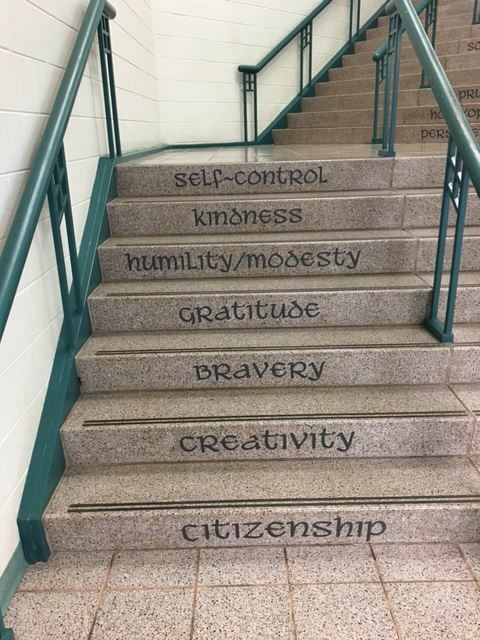 I can see students enjoying them but they should be used with intent by educators. Executive Command, and Do I Have a Right are my two favorites. With this year’s American Historical Association (AHA) conference being hosted by Chicago, it was a perfect reason to return to a city I haven’t visited since the late 1990s (it’s a great place and I will be back for a Cubs game this season)! What’s more, attending the conference is a great way to start the new year. In this spirit of professional collaboration, I am happy to share some experiences and thoughts about the 4 days of professional learning and growth. Of course, the next step is to start acting on and applying those take-aways before they are lost in the post-conference return to “normalcy” of our work and personal lives. Enjoy exploring and connecting and I hope to see you in New York for the 2020 conference next January. Below, I have structured my highlights under headings which I think will facilitate your browsing. Of course, with nearly 300 sessions, poster exhibits, receptions, and workshops there was much more going on than what I have selected below. Regardless, I am sure you will find something of note to explore and share with your network. Did you know that public school teachers in the city that hosts the conference can attend for free? That’s incredible. I am very happy to see the number of K-12 teachers growing at the AHA conferences and feel that collaboration across K-16 benefits students. I met Jason Herbert who is the creator Historian At The Movies a twitter community that get’s together online Sunday night at 8:00 pm EST. To connect use #HATM and join this group when you can (they were fun at happy hour). Next up this weekend: Monty Python and the Holy Grail. Also, I look forward to reading these two new books both suggested by teachers. Whether from a presenter, my AHA colleagues, or an exhibition table, I found these quotes related to the teaching and learning of history to be worth internalizing. If you want to contribute to the collection, contact Elyse Martin at emartin@historians.org with questions, comments, or recommendations. Also, the AHA authors statements and announcements that support the profession. The statement below was shared at the conference and is a follow up to previous work on Wang’s behalf. AHA (American Historical Association), Jan. 3-6 2020! New York City NEVER TOO EARLY TO MAKE YOUR PLANS! And you can always join a robust weekly twitter chat, #sschat, every Mondays from 7-8pm EST. I love the group’s tagline “connect globally & teach locally.” The 2019 calendar for chat topics can be seen here. “Membership in the society is free and entitles members to participate in Online conversations by commenting and leaving posts, and to receive an electronic newsletter highlighting developments, trends, and projects in the field. The Alliance for Learning World History at the University of Pittsburgh has redesigned their website and is a collaboration of educators and history scholars organized to advance the teaching and learning of world history in classrooms—in the U.S. and in every part of the world. ALWH links leading practitioners in world history scholarship, curriculum, teacher preparation, professional development, and educational research. History News Network is currently hosted by George Washington University and is dedicated ” to help put current events into historical perspective. ” What a fantastic idea! Each week HNN features up to a dozen fresh op eds by prominent historians and receives about 300,000 page views per month. It is really a fantastic and dynamic resource. Have fun exploring all its features. The History Teacher has been published by the the Society for History Education since 1967,the same year Sgt. Pepper’s Lonely Heart’s Club Band was released! The journal seeks to “to improve the learning experience in the history classroom” and is a rich publication for secondary and higher education. Lastly, check out this free, online digital history resource “US History in a Global Context.” It is a dynamic resource that addresses the scarcity of professional development programs dedicated this approach. Additionally, the resources we have assembled are designed to inspire your creativity and develop your thought leadership as an advocate for this approach to teaching U.S.History. 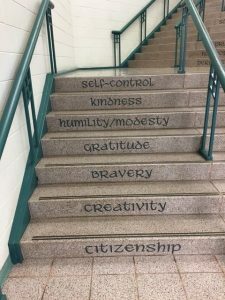 I made a resolution about 5 years ago (or more, I forget at this point) that was a response to what has become a standard expression in education. The decision to eliminate this expression was motivated by a long standing belief that educators must be the prime advocates for teaching and learning, students, and the profession in toto. Some of the more frequent these applications of this phrase by administrators, teachers, students and educational companies include. I am a fan of saying what you mean. I am also a fan of thinking about the meaning of what has been said. The “real world’ phrase has both connotations and denotations which need to be analyzed. 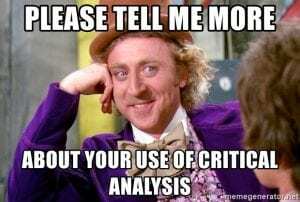 This practice, critical analysis, is summarized by psychologist/linguist Dr. James Gee in his work An Introduction to Discourse Analysis: Theory and Method. So, what are the implications of using the phrase “the real world”? The content you are learning in school is good only in the walls of the classroom. Teaching is an isolated practice relegating teachers as gatekeepers to the next level of “unreal world” – school. Ultimately, the use of “real world” highlights a conceptualization of school as a detached experience separate from what happens when students are not at school. Please note that I do not believe educators use the phrase intentionally as a pejorative expression. However, I do argue that its use is a detriment to our field. The good news is that there are easy pivots we can make that remove the implied meaning and message listed above. When you consider just some of the obstacles schools face – achievement gaps, expressing the value of an education, student engagement, conveying the purpose of studying a specific subject, parent involvement, shifts to instruction and assessment – we are reminded just how difficult teaching is. Being able to articulate that the time being spent in school has explicit relevance to the time spent outside is essential. To reinforce my claims, the alternatives I provide remove the negative implications coming from “real world.” The expressions convey explicit intention and value, empower educators and students to act, and remove a fabricated divide between life at school and life not at school. Let’s explore these ideas a bit further! Being explicit about these as outcomes and objectives to education is essential. Indeed, the least real world experience students have is the taking of a multiple choice test as a summative assessment. Yes, I know they exist outside of school (driving tests always get cited by proponents) but think about your own non-multiple choice filled lives (see video). I have shared some of my favorite portraits below but be sure to check them all out here. 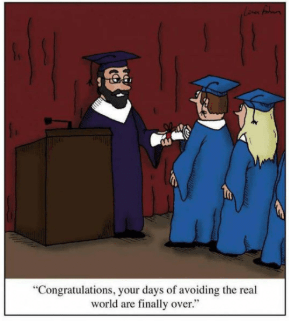 And note… they don’t have to use the phrase “real world”, because they frame teaching and learning, and time at school as relevant and valuable for the present and future in and beyond school. Welcome to the 2018 -2019 school year, and the first post of the season. I hope your summer was inspiring, fun, and rejuvenating. Mine was… for many reasons. But, for this post, there were two events I participated in that I will not soon forget. I want to thank my colleagues involved in these experiences and share our learning with you. Enjoy and have a great school year. This question invites us to think about the concept “a usable past.” The primary aspect of a usable past recognizes that we construct our understanding of the past based on our knowledge of the past. Friedrich Nietzsche examined this in his 1874 work On the Advantage and Disadvantage of History for Life (another informative piece can be found here). Great. To summarize, a developing the ability to think on “scales of analysis” in history is useful tool that makes the past more readily usable for our present world view. I look forward to the future work of the ALWH and if you ever go to the steel city, please stop by the fantastic Cathedral of Learning at U.Pitt and check out their nationality rooms which are still active classrooms. Teach about the past in a way that develops your students’ world view in the present. understand the globalized present so that they have agency in the future. But it was one of Argo’s slides which triggered the shift in my belief I mentioned earlier. It’s simplicity, as is often with inspiration, was profound. The top level, global teacher, is what is needed in order to prepare students for tomorrow. 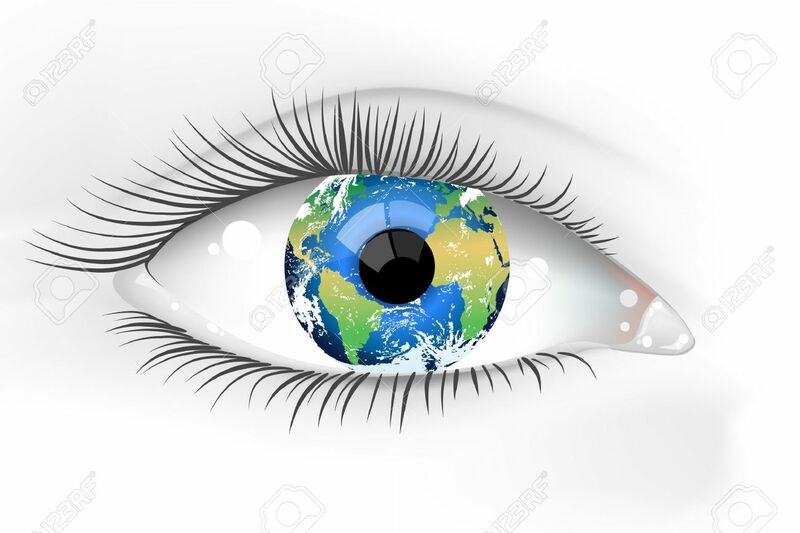 Every teacher should be providing students with global experiences in their classes.Failure to do this prepares students for yesterday and develops a world view that doesn’t use the past as a tool for the future but as an obstacle in their present. So, as you start the school year, my hope is that you empower your students with the skills to understand any of the worlds mentioned in Foreign Affairs, and better yet, to conceptualize world narratives and global realities not yet realized. This weekend I re-watched President Obama’s eulogy for South Carolina state Senator Clementa Pinckney, who was one of nine victims in the June 17, 2015, shooting at Emanuel African Methodist Episcopal Church in Charleston, South Carolina. If you haven’t watched, it I have included the complete eulogy below. Amazing Grace indeed. 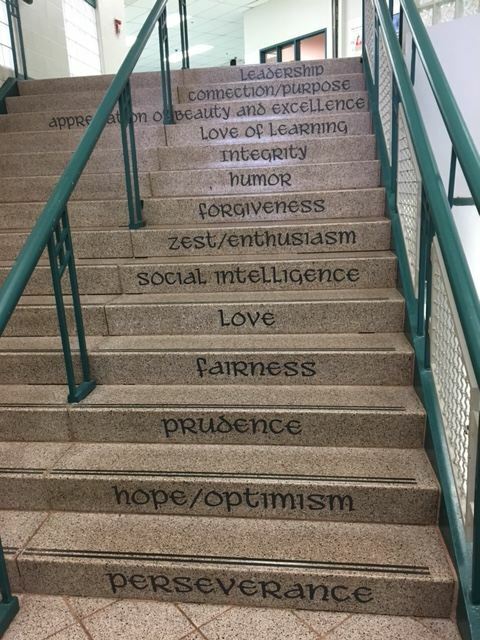 Empathy, knowledge, goodness toward the “other”, open minds and hearts… all of these are traits and behaviors to seek and internalize – especially for our students. 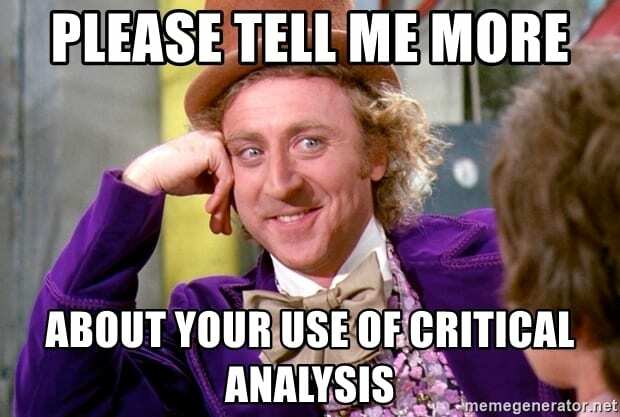 To help with this, I recently had the pleasure of asking Benjamin Marcus, Religious Literacy Specialist with the Religious Freedom Center of the Freedom Forum Institute to share his work and offers ideas about how educators can connect with the center. Ben has authored articles for EdWeek which provide a concise summary of how we approach religious literacy work in teachers’ lessons as well as six guidelines for teaching about religion. Our exchange is below. 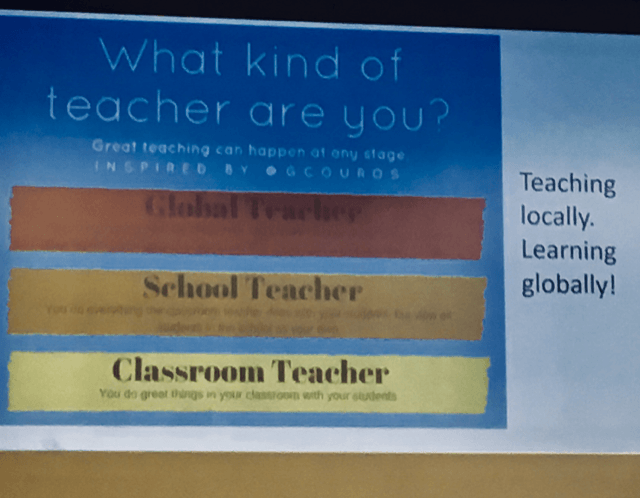 Be sure to share this post with your network and reach out to Ben to see how teachers and students in any class can be better prepared in a diverse, interconnected globalized world. Enjoy! 1) Can you provide an overview of how the Religious Freedom Center came to be? We owe our existence to Dr. Charles Haynes. We are indebted to his decades of experience gathering religious, civic, and educational organizations—from across the political, ideological, and religious spectrum—to write consensus statements and guidelines about religious freedom and the study of religion in public schools. Dr. Haynes and his colleagues recognized the need to provide clarity about religion in public schools amidst the culture wars of the 1980s and 1990s, which followed a number of U.S. Supreme Court decisions about religion and education in the 1960s. Our Center inherited and builds on the legacy of the consensus documents compiled by Haynes. Reorganized in 2010 to expand on religious liberty initiatives begun by Dr. Haynes at the First Amendment Center in 1994, the Religious Freedom Center is a nonpartisan national initiative focused on educating the public about the religious liberty principles of the First Amendment. We are pleased to be part of the Freedom Forum Institute family, which is the educational and outreach partner of the Freedom Forum. The Freedom Forum—dedicated to free press, free speech, and free spirit—is a nonpartisan foundation that champions the five freedoms of the First Amendment. 2) What are some of the connections among the USA’s founding, religion, and public education? It is impossible to tell an accurate history of public education in the United States without talking about religion. For a compelling, clear history of the relationship between religion and public education, I refer people to Between Church and State: Religion & Public Education in a Multicultural America by James W. Fraser. 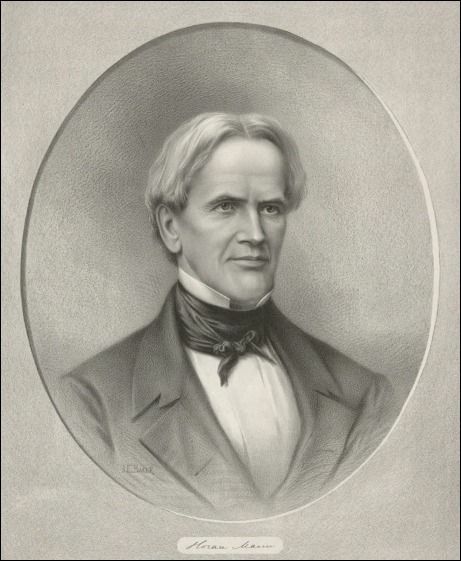 In the book, Fraser describes how public education pioneer Horace Mann designed common schools—early versions of today’s public schools—as a site of a “tolerant” form of “religious education” that would be appropriate in a multi-religious nation. Since Mann’s work in the 19th century, Americans have sought to create public schools that are more and more inclusive of students of all religions and none. We have seen schools transition from curricula that favor Protestants of various denominations in the 19th century; to schools that assume a student population of Protestants and Catholics (and sometimes Jews) in the early- to mid- 20th century; to schools from the 1960’s to today that wrestle with what it means to neither favor nor disfavor religion, including any particular religion, or non-religion. 3) How do you reply to claims that religion should not be part of public education? It might well be said that one’s education is not complete without a study of comparative religion or the history of religion and its relationship to the advancement of civilization. It certainly may be said that the Bible is worthy of study for its literary and historic qualities. Nothing we have said here indicates that such study of the Bible or of religion, when presented objectively as part of a secular program of education, may not be effected consistently with the First Amendment. At the Religious Freedom Center, we are convinced that education about religion is not only constitutional; education about religion is necessary for understanding the world around us, whether or not we are religious ourselves. 4) Yes, the distinction between teaching religion as dogma and as an academic pursuit. In turn, how does the study of religion support efforts by schools to implement global citizenship and cultural competency programs? 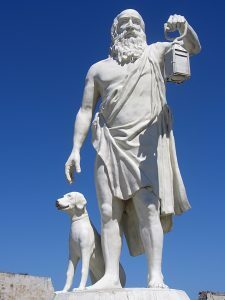 According to the American Academy of Religion’s 2010 guidelines for teaching about religion, religious literacy is defined as “the ability to discern and analyze the intersection of religion with social, political, and cultural life.” This definition inextricably links the study of religion with the study of culture. If our students are to understand history or contemporary politics and culture, they must understand religion and the relationship between religious communities. If students are to live productive, respectful lives in a religiously diverse democracy and an increasingly interconnected world, they need to know about how religion motivates and sustains people in a fractured era. Students—who may be religious or atheists, who may live in deeply religious communities or pervasively secular cities—also need to recognize that not everyone belongs to a religious community. The academic study of religion will enrich schools’ efforts to cultivate students’ global competency and cultural literacy. We do not expect schools to create standalone religion courses. Instead, we hope that schools will think about how to integrate the study of religion in existing curricula. For example, think about how much richer a lesson about the American Civil Rights Movement or the partition of India would be if students consider the religious forces at work. 5) Please share some successes you and the Religious Freedom Center have had in the K-12 education world. We are delighted that the National Council for the Social Studies approved the Religious Studies Companion Document as an official part of the College, Career, and Civic Life (C3) Framework for Social Studies State Standards in June 2017. This document is the first of its kind adopted by a major national education organization. Teachers and administrators can refer to the guidelines to learn about the disciplinary concepts and skills related to the academic study of religion that students should master by the time they graduate high school. This was a collaborative effort of an eight-person writing team, a thirty-person advisory committee, and our partners at the American Academy of Religion. I was proud to chair the writing committee of that document in my capacity at the Religious Freedom Center, and I am thrilled to see that some districts around the country have already begun to align their curricula with the guidelines. 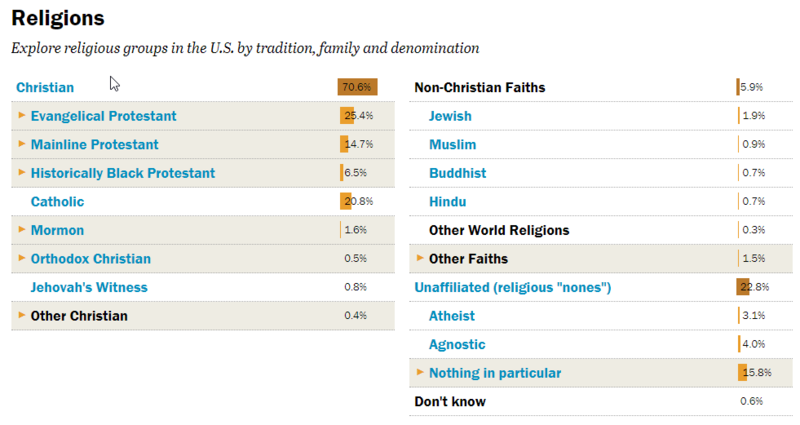 6) The Pew Center’s 2014 study on religious affiliation in the USA is pasted above. If a teacher,department, or school wants to get involved with you, what are the opportunities to do so? We provide a number of training opportunities and curricular resources for K-12 educators. Educators might enroll in a graduate-level, semester-long class with the Religious Freedom Center designed to train teachers to teach about religion. If they do not have time for a semester-long class, they might choose to logon to our professional development website, Constitution2Classroom.org. There they can enroll in our free, on-demand, self-paced professional development modules, each of which take roughly one hour to complete and include videos, readings, interactive games, and reflection questions. Our online modules cover topics related to religious freedom concerns in schools, religious literacy, and civil dialogue. Teachers might also choose to arrange a consultation between the Center and their department, district or school. We often organize live professional development workshops—at your school, in the Newseum, or via Zoom. If educators are interested in working with us in a way not listed here, we encourage them to reach out to us so that we can discuss their request in greater detail. Last but not least, we encourage educators to visit our website, ReligiousFreedomCenter.org, to access free guidelines, consensus statements, and classroom resources about religion and public education. 7) What’s on the horizon for the Religious Freedom Center in the immediate future and beyond? This summer the Religious Freedom Center has partnered with the National Council for the Social Studies to offer a Religious Studies Summer Institute from July 10-12 in Washington, DC. Participants will broaden their professional competence with the disciplinary concepts and tools of religious studies, and they will increase their confidence in teaching about religion in constitutionally appropriate ways. Educators can register online. We are also pleased to work with the Society of Biblical Literature to create academically rigorous and constitutionally appropriate lesson plans about the Bible and related topics for U.S. history and world history classrooms. SBL is the world’s largest association of scholars who study the Bible from an academic perspective. Teachers should contact us for a copy of those lesson plans, which should be available mid-summer. Beyond this summer, we plan to deepen and broaden our relationship with schools and districts interested in teaching about religion. We are incredibly lucky to have a variety of training opportunities and resources available for educators. Our goal now is to spread the word as far and wide as possible. 8) Anything else you would like to share with our readers? The Religious Freedom Center is here to support you! Please don’t hesitate to reach out with any questions or requests. We would love to work with you. In an increasingly polarized age, students need the knowledge and skills to navigate difficult questions related to religion and public life. Our future as a productive, rights-based, religiously diverse country depends on it. Thank you Ben. I look forward to our continued work together. Each opportunity has benefited our teachers, students, and my work in social studies education. I encourage readers to reach out to Ben and the Religious Freedom Center. Their support will help prepare students to be successful in the future. What are the stories your students hear about education? I love that question. I have found, however, that it isn’t a question educators frequently address despite recognizing the importance of messaging. We should be able to share a compelling story about the “why” of education with students, parents, colleagues and anyone in our local or global communities. This means that educators must devote time to reflect up, craft, and apply a compelling and meaningful story about the purpose of education. But what would happen if we play with that question a bit and ask “What are the stories students tell about education?” Hmm?! The question certainly shifts the agency of education being done by students instead of education being done to them. Such a shift creates a broader range of possibilities, interpretations, and outcomes. In short, the singular (outcomes, narrative, purpose, vision etc.) is supplanted by the multi. This sentiment has been been engaged with millions of times in the popular 2009 Ted Talk: The Danger of a Single Story by Chimamanda Ngozi Adichie. This brings me to this post’s guest interview with Holy Carter. I had the pleasure of meeting and discussing global education with here at the Institute for International Education in New York City. Ms. Carter is the founder and executive director of BYkids, a non-profit organization that provides kids around the world with the training and equipment to make short documentaries about their lives. BYkids believes that we can understand the world’s challenges — and how to best meet them — through the personal stories of young people. Their Season One films aired on public television on more than 170 channels in 107 markets, in 64 million American households. Holly started her career at The New York Times and has worked for 30 years as a journalist, editor, documentary filmmaker, fundraiser and non-profit leader.Before founding BYkids, Holly ran the Global Film Initiative, a foundation bringing feature films from the developing world to major cultural institutions across the country in an effort to promote cross-cultural understanding. Prior to that from 1999 to 2003, she produced Media Matters, a monthly PBS magazine show about journalism and concurrently worked as a consultant for The After-School Corporation, a non-profit initiative founded by George Soros that brings quality after-school programs to New York City public schools. In 1999, Carter co-founded North Carolina’s Full Frame Festival, which has grown to become the largest documentary film festival in the world. The BYKids website can be found here. Enjoy! Holly, tell us about your background and views on global citizenship education? I started my career as a Pulitzer Prize-nominated journalist at The New York Times and have worked for 30 years as a journalist, editor, documentary filmmaker, fundraiser and non-profit leader. I am interested in revolutionizing American education by teaching empathy and global citizenry to our students in a way they understand – through moving image. They spend their lives outside the classroom processing the world and expressing themselves through moving image. We need to speak to them in the language they use. Putting a textbook on a tablet is not innovative. Bringing short documentary films into their classroom and curriculum as a way for them to walk a mile is someone else’s shoes – now that has real impact. Once they feel the issues of the world, they can be guided to find solutions. Connecting students is indeed a key aspect of global education. How did BYkids get started? I started BYkids as a platform for the voiceless to share their voices. Kids are honest storytellers, yet their stories often go unheard. BYkids was created as a network of cross-cultural storytelling. By sharing the untold stories of children in countries like Nicaragua about climate change or Mozambique about AIDS, we engage a younger audience in a global discussion to teach the intangible qualities like empathy and tolerance. Can you share some examples of schools using BYkids and the impact it had on students, teachers, and the community? Our films and curricula are distributed to over 100 million viewers and students around the country. Season One of FILMS BYKIDS is a partnership between THIRTEEN, the flagship station of PBS, and BYkids, a non-profit organization, bringing the voice of five young filmmakers from different cultures to a wider audience through the power and reach of public media. In addition, we do many live screening and panel discussions, using our films as a conversation spark. Last year, for example, we were invited to Bergen Country, NJ for Anti-Violence Week to screen and discuss POET AGAINST PREJUDICE, a story told by a young Yemeni immigrant to Brooklyn who finds a creative outlet for self-expression in a post 9/11 world. The young filmmaker was like a rock star to the thousands of high school students. In fact, the film and resulting conversation left some young audience members in tears. By watching Faisa’s inspiring response to discrimination, the kids sitting in the front row had tears rolling down their cheeks. The film reached their hearts and left them changed with a new perspective on this all too relevant issue of Islamophobia and the struggles of new immigrants. What is next for BYkids and what is your vision for the future of the program? BYkids is currently working on its upcoming Season Two to include films about climate change ravaging coffee growing in Nicaragua (see trailer below), forced child marriage in Senegal, the Syrian refugee crisis, modernity in Bhutan and the juvenile justice system in the U.S.
We look to continue to start meaningful conversations around these globally relevant issues and innovate in the education space so that our students are engaged emotionally in the world around them. By continuing to produce films, we are expanding our community of young leaders and introducing more overlooked stories throughout the world. Our future is strong with the continued support of our contributing BYkids family. If you could make one change in education, what would that be? 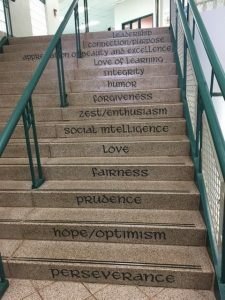 Education should promote open-mindedness by teaching empathy. Our films show lives different from most audience members and children in American schools. Things that seem foreign at first, like growing up on a struggling coffee bean farm or falling victim to a longstanding tradition of child marriage, become more relatable and seemingly real through our films. My hope for education is that, like at BYkids, it does not stray from a sometimes different or uncomfortable truth, and teaches through an honest lens. I love what BYkids offers. The penpals platform is one of my favorites. How can teachers get involved with BYkids? Our films extend beyond one single screening in the classroom. Our various curricula help teachers turn viewing into action. On our website, we provide School Guides and Take Action Guides, in which teachers are encourages to add to the film’s viewing curriculum, to help expand the experience of each film, promoting students to react, think, reflect and engage after watching one of our films. Once the students have watched the film and learned about their peers from around the world, the teacher helps them get engaged with the issue and understand how to access their own voice. This is all about the power of storytelling and listening. The simple message is a key reminder and call to action. Visibility! This harkens to two projects that have impacted my thinking on education. Neither are directly related to global education models. However, both emphasize the importance of agency as a core value for success. Agency, to clarify is held by both teachers and students. 1) Visible Learning: John Hattie’s acclaimed work on what works for effective teaching and learning. “Visible Learning means an enhanced role for teachers as they become evaluators of their own teaching. Visible Teaching and Learning occurs when teachers see learning through the eyes of students and help them become their own teachers. 2) Making Thinking Visible: “Visible Thinking is a research-based approach to teaching thinking, begun at Harvard’s Project Zero, that develops students’ thinking dispositions, while at the same time deepening their understanding of the topics they study.” At the core of this practice is a collection of thinking routines and dispositions which promote student engagement and critical thinking. This EL article summarizes the movement very well. Too often, however, the story of a school’s practices and programs concerning global education is limited to the work of a single or small group of teachers. Indeed, these are important and valuable changes which (a) prepares students for the future and (b) frames K-12 education as part of the vanguard of profession as opposed to a one defined by lag. Moreover, these teachers are in a position to be leaders as their school adopts a broader systemic pivot towards global education. 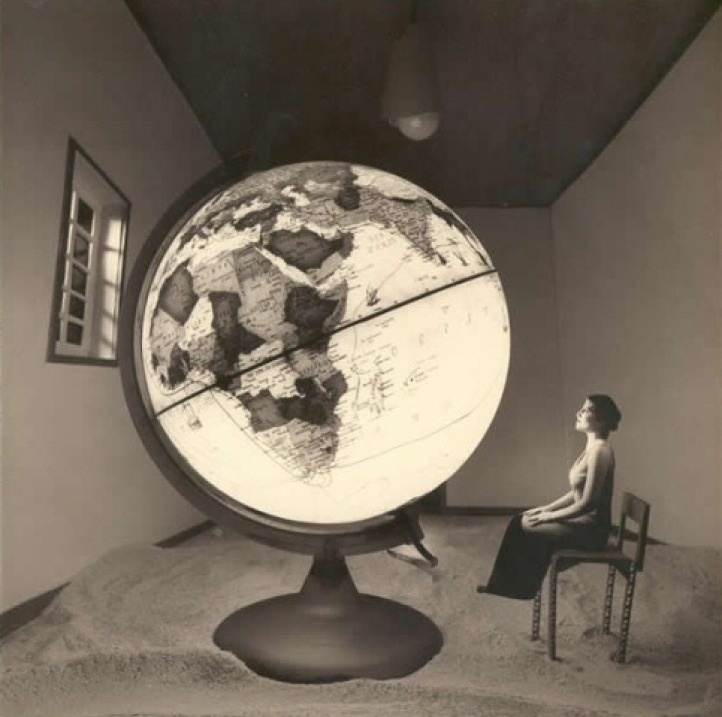 As I write this I am thinking of a sentiment my school district promotes, “It will never be a perfect time for change.” Indeed, delaying a shift to global education is embracing lag and complacency as part of an organizational vision. Instead, making global education part of a school’s mission and practice is part of the demands of globalization and the contemporary landscape. If not now, when? Take a look at this short clip that collects the views of “independent school professional” regarding measuring success in global education. As you do keep in mind this question, “How visible do you think global education is in their schools? I want to stress that the imperative for schools to provide experiences in teaching and learning that prepare students for the globalized world they will enter is both a moral and professional one. When educators choose to ignore or not go this route indeed raises an eyebrow. I am always curious to know why educators choose not to do so. I haven’t found a reason valid or convincing enough to include here. As 2018 begins it is time to take stock of global education in your school. Where is global education visible in your school? Where can the focus become sharper? How do you move a school towards one that prepares students for a globalized reality? Who/what are the boundaries? ASCD Globally Competent Learning Continuum: an online self-reflection tool to help educators of all grade levels and content areas develop globally competent teaching practices. The GCLC provides 12 concrete globally competent teaching elements with descriptions of what each looks like at different levels of development. I will end with a question, a challenge, and some additional resources to explore after the two above. Have a wonderful new year and enjoy! QUESTION: What is your school/district’s story regarding preparing students for a global world? 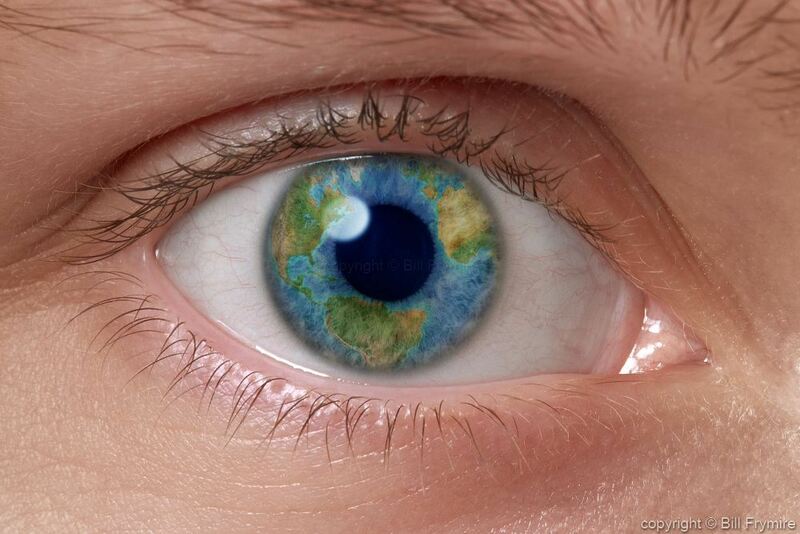 CHALLENGE: Make global education visible in your school… today. Make 2018 the year, January the month. Signature Pedagogies in Global Education: In this study, we examine how exemplary teachers design signature learning experiences based on their understanding of (a) the world and why certain topics matter over others; (b) their disciplines and their standards in global terms; (c) the specific learning challenges that students confront when learning about the world; and (d) effective pedagogy. Fulbright Teachers for Global Classrooms Program: This is a year-long professional development opportunity for U.S. elementary, middle, and high school teachers to develop skills for preparing students for a competitive global economy. Fulbright TGC equips teachers to bring an international perspective to their schools through targeted training, experience abroad, and global collaboration. Apply for the 2018-2019 cohort here. World Savvy Classrooms and GCC: The Classrooms program integrates the highest level of global competence learning into classrooms by combining professional development and consulting for educators with project-based learning for K-12 students. The Global Competency Certificate (GCC) is the first-of-its-kind, graduate-level certificate program in global competence education for teachers. Generation Global: Video conferences immerse students in an entirely new experience. We connect classrooms across the world, allowing students to explore, articulate, and develop their own views, while encountering and considering the views of others. It is a safe space, with a trained facilitator to manage the flow of the discussion. iEARN: Since 1988, iEARN has pioneered on-line school linkages to enable students to engage in meaningful educational projects with peers in their countries and around the world. Join interactive curriculum-based groups where students are creating, researching, sharing opinions and becoming global citizens. Asia Society, Center for Global Education: The Center for Global Education at Asia Society has a vision that, in an interconnected global era, all youth from all countries and cultures will have the capacity to create, participate in, and benefit from a peaceful and prosperous world. These outcome tools and rubrics are invaluable. Diogenes – I am a citizen of the world. This event is made possible my one of the most amazing networks of teaching and learning – the National Resource Centers. I strongly suggest that you add these groups to your network. Today is also the culminating event in a journey that began for me in August. In mid-month I left for Budapest the day after my last post and flew back to the USA from Prague about two weeks later. Since that trip and the start of the school year I have had the pleasure of discovering a multitude of resources that can transform your class and students learning. I am not using the word “transform” loosely by the way. I am convinced that the combined quality , application, and range of items below will cause you to pause and think about both your practice and how you provide your students with experiences in global citizenship education. The collection of resources come from colleagues, social media, events I have attended, students etc. They touch the five areas you can modify to augment global education: (a) instruction (b) assessment (c) curriculum (d) educational vision and (e) professional learning. Where are there gaps in your knowledge? How can you teach complexity, not simple binaries? 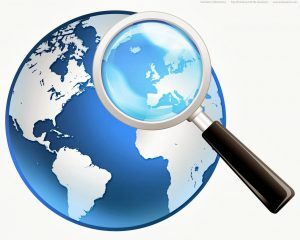 What is your understanding of Globalization? How can you modify your student experiences to prepare them for tomorrow? I hope you enjoy these and would love to hear how you used them. So, leave a comment and make me smile. Happy exploring! But before you start, watch this video from Alan November. 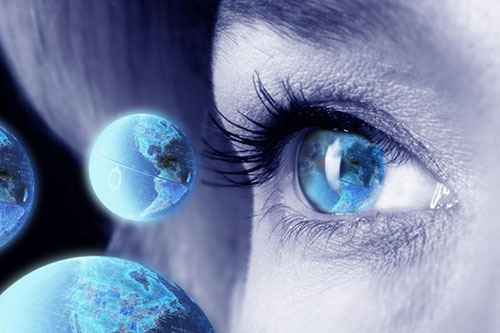 The World in 2050: Are you teaching for tomorrow? Two resources here can help you make that pivot. 1) The report and PWC website and 2) The BBC Documentary in case one link breaks, here is another. Global Ed Conference, Nov 13-16, 2017 – The 8th annual free, online Global Education Conference takes place November 13-16. We are still accepting proposals through November 5th. Please share this information with any potentially interested friends and colleagues! See previous conference archives here. Preparing Young Americans for a Complex World: Last year, the Council on Foreign Relations and National Geographic commissioned a survey to assess the global literacy of American college students. Over 1,200 people participated; less than 30 percent earned a passing grade. Global Competence and Rubrics: The Asia Society has rubrics and assessments for your class and school to use. This is a remarkable and valuable collection of resources. Enjoy! 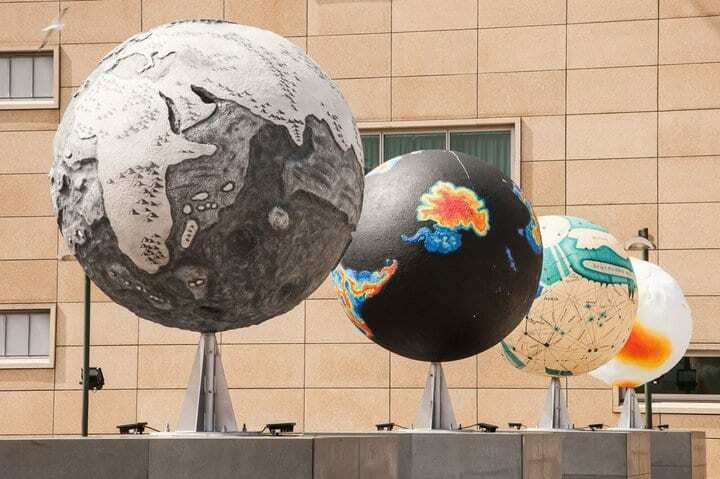 Instructional Strategies for Global Thinking: From Harvard’s Project Zero, these approaches foster understanding and appreciation of today’s complex globalized world. 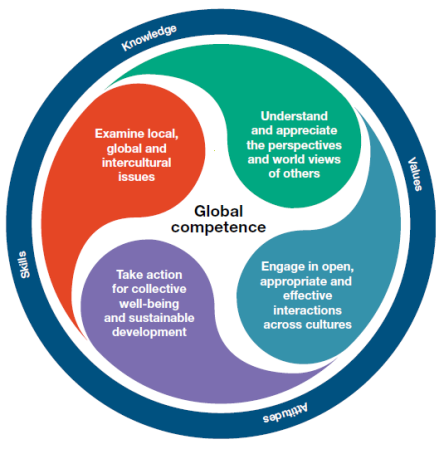 The materials and tools include a framework to think about global competence and offer clarity about various capacities associated with global competence. The bundle describes how to plan and document your experiences bringing global thinking routines into your classroom and to share these experiences with others. 100 People: A World Portrait and Global Ed Toolkit: The 100 People Foundation helps students to better understand the complex issues facing our planet and the resources we share. By framing the global population as 100 people, our media makes education more engaging and effective, and improves students’ abilities to remember and relate to what they learn. 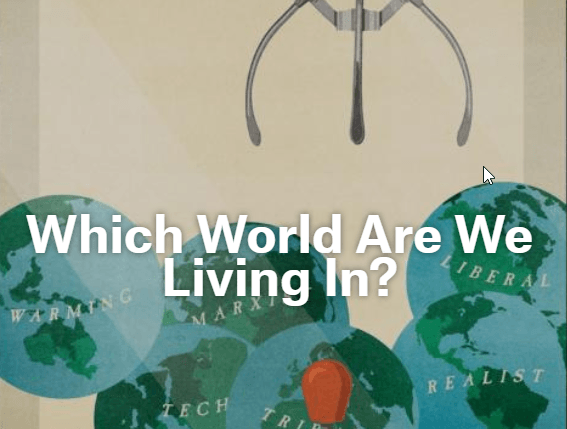 Our World in Data: Our World in Data is an online publication that shows how living conditions are changing. The aim is to give a global overview and to show changes over the very long run, so that we can see where we are coming from and where we are today. The project, produced at the University of Oxford, is made available in its entirety as a public good. The World Population Project: The genesis of this project was World Population, a simple, yet powerful, video animation of “dots on a map” representing population changes through time. First produced by Population Connection (Zero Population Growth at that time) over 40 years ago, the video became a popular teaching resource. This spawned new editions that have been viewed in classrooms, museums and boardrooms worldwide. The new 2015 version is viewable here in six languages and contains the latest population projections. Global Religious Diversity: The Pew Center’s study from 2014. In order to have data that were comparable across many countries, the study focused on five widely recognized world religions – Buddhism, Christianity, Hinduism, Islam and Judaism – that collectively account for roughly three-quarters of the world’s population. US Institute of Peace: List of International Organizations- A list of links to international organizations’ web sites.I am always stunned when students and adults can’t identify 10 of these groups. Please teach about these. US Institute of Peace: Glossary of Terms – To help practitioners, scholars, and students answer questions about terminology, USIP developed the Peace Terms: A Glossary of Terms for Conflict Management and Peacebuilding. This extensive glossary provides short definitions of a wide range of complex and often confusing terms used in the field of conflict resolution. United States Diplomacy Center’s Diplomacy Simulations Program: The United States Diplomacy Center’s education programs immerse students in the world of American diplomacy and the critical work of the United States Department of State. At the heart of the Center’s education programs are our diplomacy simulations. These are hands-on exercises that allow students and teachers to experience what it is like to be a diplomat while grappling with complex foreign affairs topics. US State Department- Discover Diplomacy: Diplomacy is a complex and often challenging practice of fostering relationships around the world in order to resolve issues and advance interests. Discover the PEOPLE who conduct diplomacy, the PLACESwhere the Department of State engages in diplomacy, and the ISSUESdiplomacy helps resolve. The White Tourists Burden: Opinion article about voluntourism and the “white savior” complex. Also, African’s Message for America: Article and video about thinking about working locally before going to “save” Africa. SAMR Model Resources: The digital revolution in education is full steam ahead, and this challenging process needs solutions on how technology will be used to change education. In 2006, Dr. Ruben Puentedura (P.hd), the President and Founder of Hippasus, a consulting firm based in Western Massachusetts, has come up with the perfect SAMR method to infuse technology into learning and teaching. The Right Question Institute: Inquiry is essential for the development of global competence. The skill of question asking is far too rarely deliberately taught in school. We have worked with and learned from educators to develop a teaching strategy that provides a simple, yet powerful way to get students asking their own questions and building off their peers’ questions. Environmental Performance Index The 2016 Environmental Performance Index provides a global view of environmental performance and country by country metrics to inform decision-making. Launched at the World Economic Forum, the EPI is in its 15th year and more relevant than ever to achieving the United Nations’ Sustainable Development Goals. A fantastic comparison tool is here! Brene Brown Empathy vs. Sympathy Video What is the best way to ease someone’s pain and suffering? In this beautifully animated RSA Short, Dr Brené Brown reminds us that we can only create a genuine empathetic connection if we are brave enough to really get in touch with our own fragilities. Brainwaves Video Anthology: The Brainwaves video anthology is produced and filmed by Bob Greenberg. Here you will meet the thinkers, dreamers and innovators; some of the brightest minds in education. This series is meant to inspire and engage the viewer to dig deeper and learn more. A series from global educator Fernando Reimers is here. What if western media covered Charlottesville the same way it covers other nations? Fascinating article with a fictional tone similar to Body Ritual of the Nacirema. Full RSA Video Library: Want world-changing ideas, world leaders, RSA Animates, self-improvement, talks, debates, interviews, animations and loads more?! Well you’ve come to the right place! Be sure to explore the “Insights”, “Animate”, and “Shorts” playlists. Go Global NC – We are Go Global NC and we connect North Carolina to the world and the world to North Carolina. For 35 years our international education and training programs have empowered North Carolina leaders with the skills, understanding, connections, and knowledge to succeed in a global community. 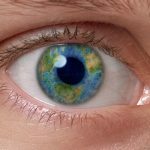 US History in a Global Context – Free and dynamic resource website that has modules and resources, including how to teach US history this way, for teachers to utilize. Interactive images are library are also included. Half the Sky – A four-hour PBS primetime documentary film and national broadcast event inspired by the widely acclaimed book of the same name by Nicholas Kristof and Sheryl WuDunn. What the best schools around the world do right -What can other countries learn from these two successful, but diametrically opposed, educational models? Here’s an overview of what South Korea and Finland are doing right. And as an extension, here are images from schools around the globe. CNN10 – Explaining global news to a global audience: This is the mission of CNN 10, a new, 10-minute news show that appears as a daily digital video on CNN.com. CNN 10 replaces CNN Student News, the network’s longest-running show that first aired in 1989. How does critical thinking happen: Critical thinking skills truly matter in learning. Why? Because they are life skills we use every day of our lives. Everything from our work to our recreational pursuits, and all that’s in between, employs these unique and valuable abilities. Consciously developing them takes thought-provoking discussion and equally thought-provoking questions to get it going. California International Studies Project – The California International Studies Project promotes global education through high quality, standards-based, and interdisciplinary professional learning programs for educators in California. 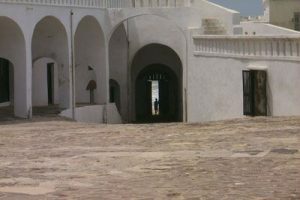 All Africa – Website that aggregates news produced primarily on the African continent about all areas of African life, politics, issues and culture. It is available in both English and French. 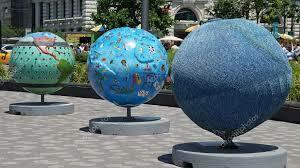 Global Happiness – Transnational and cultural expressions are important for global education. The 2011 documentary “Happy” and the world happiness report are valuable resources. 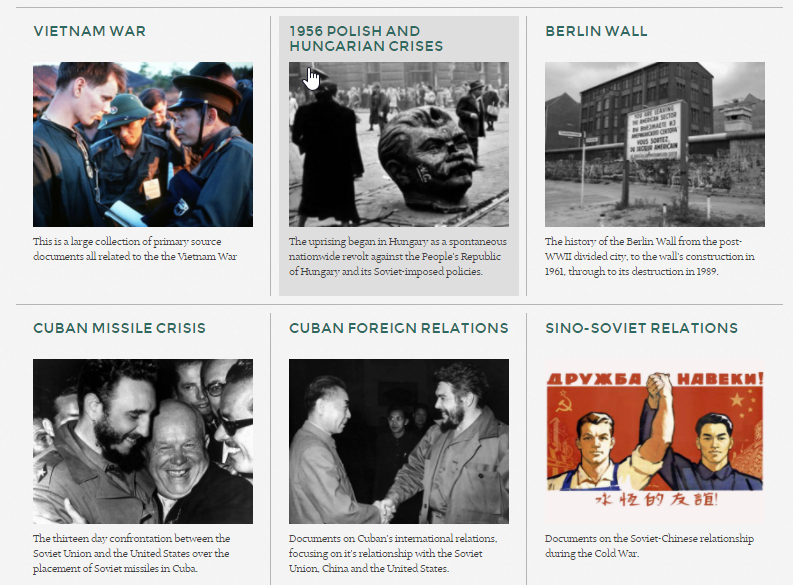 NewseumED : We provide free quality online resources to cultivate the skills to authenticate, analyze and evaluate information from a variety of sources and to provide historical context to current events. Reach the World – Reach the World makes the benefits of travel accessible to classrooms, inspiring students to become curious, confident global citizens. Enabled by our digital platform, classrooms and volunteer travelers explore the world together. UN SDG Infographic: In September 2015, 193 world leaders committed to 17 Global Goals for sustainable development to end extreme poverty, fight inequality and injustice, and protect our planet by 2030. Education is essential to the success of every one of the 17 new goals. List of most sustainable companies in the world: Since 2005, Toronto-based magazine and research firm Corporate Knights has put together the Global 100, an annual list of the world’s most sustainable companies. Using publicly available data, Corporate Knights rates large firms on 14 key measures, evaluating their management of resources, finances and employees. 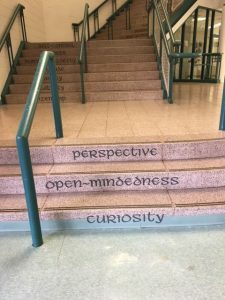 Facing Today- From the group Facing History and Ourselves, this blog links the past and present with posts by an international community of mindful and creative educators, students, and community members. Great for current events. The School of Life: The School of Life is a place that tries to answer the great questions of life. We believe in developing emotional intelligence. We are based online and in 12 physical hubs around the world, including London, Melbourne, Istanbul and Seoul. Inequality Index – Inequality isn’t all about income. Here’s a guide to different ranking systems – from wealth distribution to the World Happiness Report – and which countries rate best and worst under each. Metrocosm: Metrocosm is Max Galka’s collection of maps and other data visualization projects — trying to make sense of the world through numbers. Some of my favorites: NYC Trash, Global Defense Pacts, World Immigration 2010-2015, Disputed Land Across the Globe. Sal Khan Interview on NPR – Tech and a Global Classroom: Sal Khan turned tutoring lessons with his cousins into a series of free educational videos called Khan Academy. His goal: To make learning accessible for everyone, everywhere. UN Peacekeeping Missions: An enlightening presentation by scholar Anjali Dayal. This piece by her provides a great framing for the topic. Checkout this video she used to introduce her presentation.